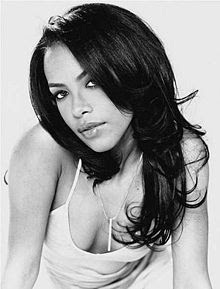 2001 the world lost one of our most precious jewels as Aaliyah Dana Haughton was killed in a terrible plane accident after filming what would be her last music video Rock The Boat. Aaliyah was born January 16, 1979 in Brooklyn, New York but was raised in Detroit, Michigan. At An early age she appeared on the world famous Star Search and in Concert with Gladys Knight. 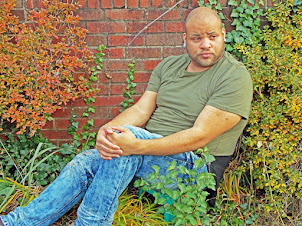 At the age of 12 sh e signed with Jive Records and Blackground Records. After facing allegations of being married to R. Kelly she was dropped from Jive Reccords and signed to Atlantic Records. Aaliyah's second album One In A Million sold 8million copies world wide. In 2000 the world would see a different side of Aaliyah as she starred along side DMX and Jet Li in Romeo Must Die, in which she contributed some of the soundtrack for the movie. After completing Rome Must Die Aaliyah would complete her portion of the movie Queen Of The Dammned and release her third and final self entitled Album Aaliyah. It was this CD that lead to Aaliyahs death. In August of 2001 Aaliyah and her film crew, make-up artist, hair stylist, wardrobe stylist, and body guards went on a Journey to film what became Aaliyah's last and final music video. There adventures started in Florida where portion of the video was filmed but it was the trip to the bahamas that lead to the singers death. Aaliyah along with 8 others was killed on their way back from filming in the Bahamas. It was believed that the crash was caused due to the private jet being over its capacity weight as well as the driver being drunk and high. Aaliyah was a kind warm and young individual whom loved everyone whom she came in contact with. Her spirit is very strong and loving. She will be missed and her legacy will live on forever.